We install, repair and maintain Gas Furnaces in the Dillsburg, Mechanicsburg & Camp Hill PA area (York and Cumberland County in Central PA). We use only high quality heater products, parts and accessories from reputable companies such as Rheem, Ruud, Carrier, Goodman, York, Payne, Amana, Trane, and more. Condensing gas furnaces have been the most popular type of gas furnace for the past 25 years or so. Gas heat has seen major advancements in technology and comfort control, and some gas furnaces today have an amazing 98% efficiency! The most popular furnaces we install are "two-stage" furnaces and are equipped with variable speed energy saving blowers. You don't need the whole capacity of your furnace in mild weather, so the furnace will operate in a reduced capacity under these conditions. This means it will be more comfortable and with more even heating temperatures. We have matched many systems with system controls that help customers program their cooling and heat for various times and temperatures, dehumidify or humidify the air, and filter/purify the air in their home. This option not only saves natural resources by using a lot less energy, but also saves you money and gives much more comfort for you in the long run. Proper gas furnace installation is critical because gas appliances create a deadly, odorless gas called carbon monoxide. Attention to proper venting is critical; otherwise, it could lead to health hazards as well as repair issues and early major failure of the gas appliance. Thousands of Central PA homeowners have trusted us with their gas furnace installation, repairs, maintenance and replacement. We are constantly involved in continuous education to keep up with current gas furnace technologies. 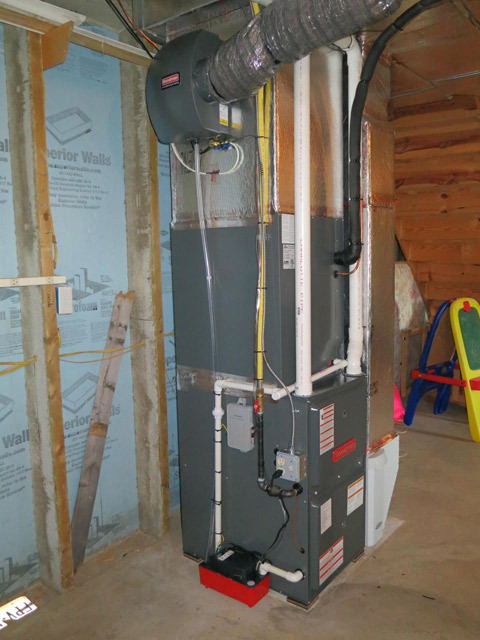 Most companies utilize what they call "installers" instead of technicians for their gas furnace installations. These "installers" are often not familiar with the inner workings and the technology of your equipment, which can lead to a less than satisfactory installation. All of the gas furnace installations that we perform are done by a top technician, keeping serviceability, efficiency and safety in mind. You will never have to be concerned about an inexperienced technician showing up at your home from Staley Mechanicals. Let us custom design, properly install, maintain, and repair your gas furnace for many years of comfort and efficient operation. You will not regret it!